The Harmony Chamber Choir is also a youth group that promotes harmony between its members and music. 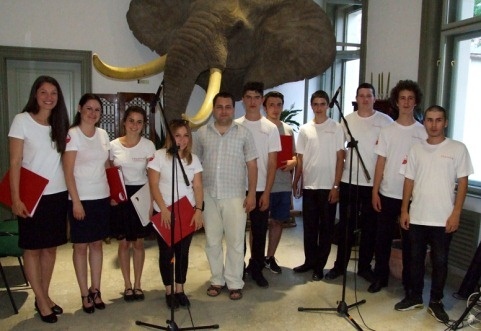 The members of the choir are Romanian Hungarian youth. Harmonia was established in 2013 as the choir of the Christian Protestant church, later became very successfull with profane songs. Since 2014 their rehersals are held at the Art School with instruments like guitar, bass guitar, keyboard and drums.